After I botched that paint chip art thingy I promised I wouldn't be doing DIY posts. 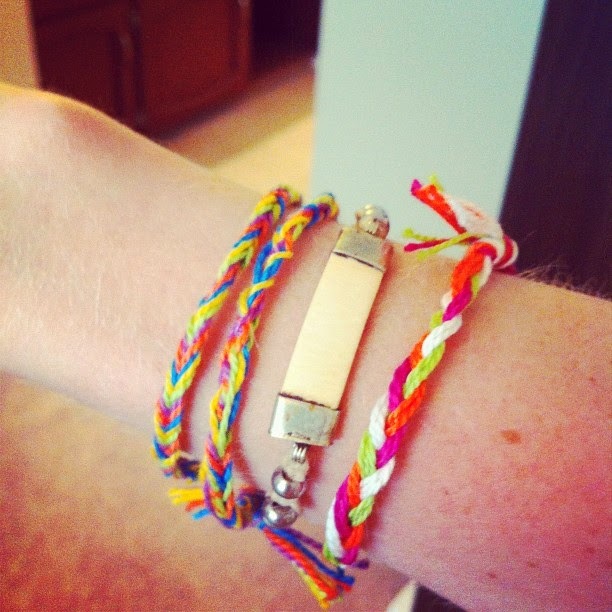 I kept pinning friendship bracelet pictures on Pinterest. How cute are all of those? And they look doable, so I couldn't help myself. And at first...I botched it. Because, come on, it's me. That's what I do. 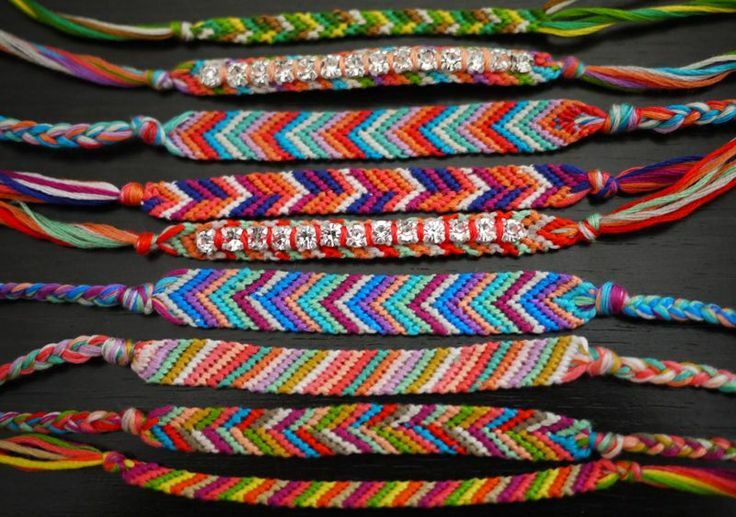 I COULD NOT get the chevron pattern down. So I cheated and did an easy braid and a fishtail braid. 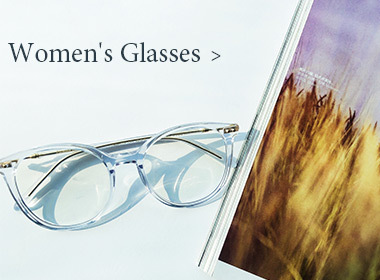 And I think they look pretty cute. I eventually read over the tutorial like four more times and figured out what they meant and now my chevron one is looking pretty good. 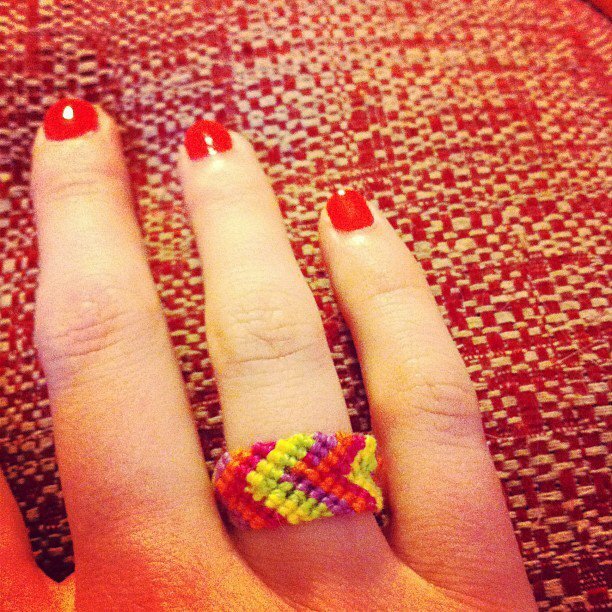 Of course, I made my first one way too short and turned it into a ring. 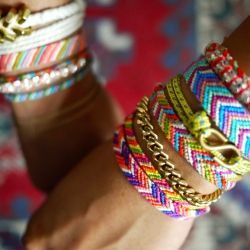 The best thing about this DIY is that when I showed Mike my completed bracelets, the first thing he said was, "Where's mine?" Now that's a dude who is secure in his manhood. 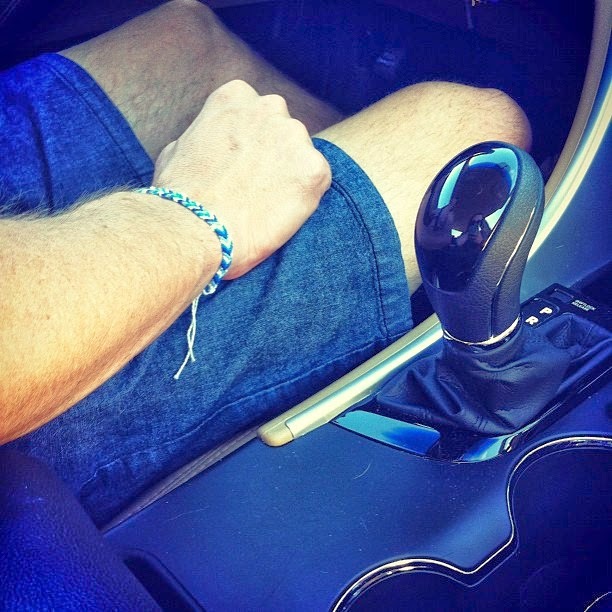 Here he is rocking his friendship bracelet all weekend. And I finally completed a pretty good one for myself. If you want to attempt this DIY (and probably do it way better than me) read that tutorial five times, then buy a bunch of pretty thread OR this awesome kit at Walmart for only 4 smackaroos. 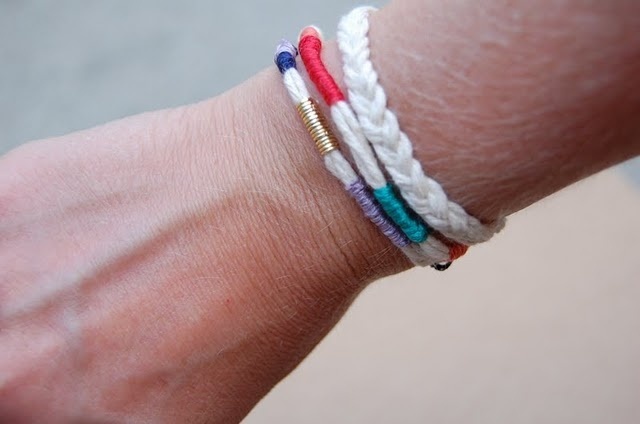 Then, grab a magazine to tape your bracelet to while you braid it, some tape, some scissors, and put on a good movie cause this is going to take forever.